Understand the role of business insurance in improving India's ranking in World Bank's Annual Report. 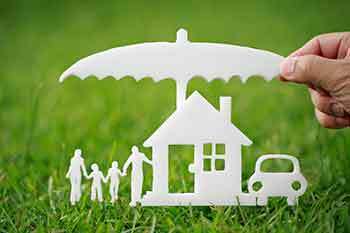 Get more info about types and insurance & its importance from India Infoline. World Bank’s Ease of Doing Business report that came out in the first week of November 2017 had quite a focus on insurance in it. 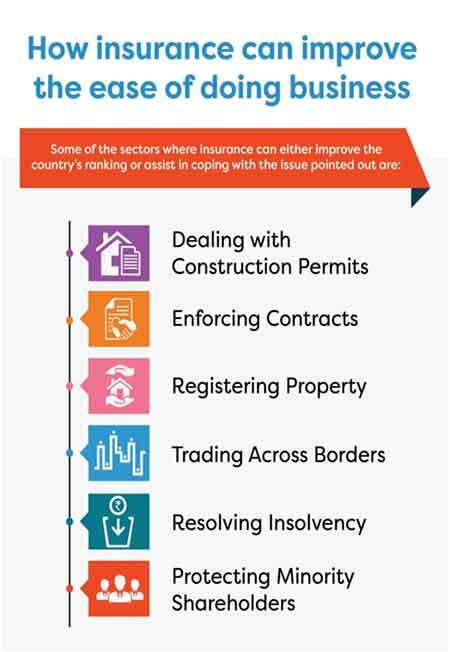 It pointed out that if India has to improve its ranking in the annual report, the role of insurance has to be reconsidered in a positive sense in 6 out of the 10 criteria highlighted. The worst performance in the entire report is reflected under this criteria. Here, India has been ranked 181 out of the 190 countries listed with an entire section dedicated just to liability and insurance. The World Bank offers thesuggestion that even after a building is occupied, the architects, engineers, technical inspectors and/or construction company must be legally responsible for it. They should also possess an insurance against any issues related to design that show up over the years. The Indian government has to, however, mandate this liability and insurance to those in the construction space so that business and homeowners can benefit from it. In Enforcing Contracts, India has been ranked 164 out of 190. This could possibly be because of the high litigation cost as compared to other participating countries. The legal fees alone is 31% of the claim value in India. World Bank went ahead to highlight specifically highlight that 22% of the claim value is spent just on the attorney’s fees. To improve this, having comprehensive general liability insurances that cover litigation costs can help in meeting the high legal costs and thus, improve the rating. It is India’s third-worst performing criteria where India ranks 154th of the 190 countries. The main contributor of this is the land dispute resolution process. World Bank is of the view that those who get duped after buying the land due to faulty paperwork must be compensated and it should be a state or private guarantee. This is possible through Title Insurance – a product of foreign origin that’s yet to have a debut in India. The wing of the government that looks after maintaining the land records also does not maintain it properly thus causing a roadblock in this process. India ranked 146th here and insurance is not a direct cause for this. It is rather a way of solving the cause and improving the rank in this case. Marine insurance can help in reducing the documents required in the entire process of transporting goods by the sea. The low-cost of the insurance and quicker policy issuance rate of the insurance is making it a significant contributor tomaintaining its rank below 150. Insolvency is a big issue for Indian banks as well. The poor recovery rates and recovery times lead to the concern of making India rank 103rd in the report. Compared to other countries of Organisation for Economic Co-operation and Development (OECD), India takes around 4 years to resolve a proceeding and make any kind of recovery. The ‘trade credit’ insurance here can be a useful factor as it covers people for bankruptcy and pays the bank on your behalf. The criteria where India excels unbelievably is in protecting the interests of minority shareholders. It ranks 4th in this as companies usually tend to buy insurance that protects its shareholders from any legal threat. However, there is still scope for improvement where the liability of specific shareholders who litigate against the company can be covered. Overall, India is also scoring in other criteria wherein Generating Electricity and Getting Credit were ranked at the29th position each, 119th position in Paying Taxes and 156th position in Starting a Business. If we, as a country, improve on the suggestions presented in this report, we can easily improve the rating more by 5-10 points. All it takes is a combined effort at both grassroots level as well as at the judiciary level.